This week, it's the big ape himself, Donkey Kong. Only going with the games that feature his name in the title. I had to base this on what was actually a DK game. 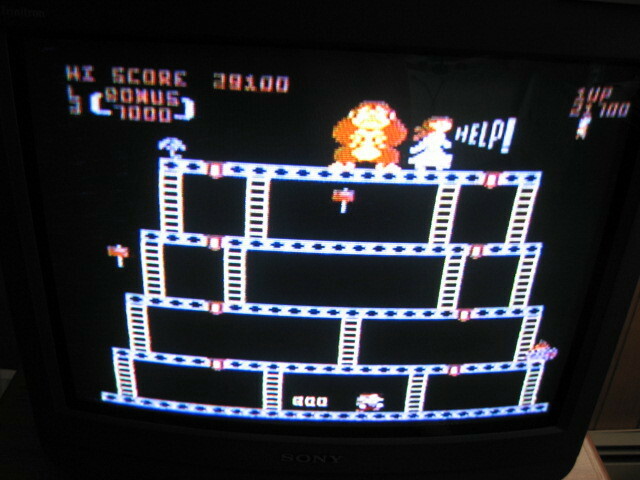 The original Donkey Kong was really more about Mario jumping around. And 2 was his son doing all the work to release DK from Mario's cage. Even in 3 he was not the main character but the receiver of pesticide blasts in his nether region. Who thought of that game? In DK Country he really got to shine and do all the ape things he was born to do. 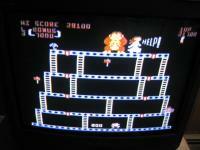 To me, the first REAL Donkey Kong game. When I first saw the title of the poll, I was thinking "well the original arcade, of course." But then after seeing the list I had to decide on Donkey Kong Country since that is the one I probably got the most enjoyment from and played for much longer periods than any other game on the list. The arcade would have to follow a very close second. Donkey Kong Country for me as well, for all of the reasons listed above. I have not tried out Mario Vs DK 2 on the DS yet but have heard positive things about it so am looking forward to that hopefully being another great DK title. Having not played most of them in the list, I had to vote for the original arcade game. I agree it's more of a Mario game, but if it wasn't for this game, the others wouldn't be here. Went with the original, not in the arcades, though; mostly played it on my 130XE and 2600. Of the ones I've played, I had to go with Donkey Kong Country also. It's just the most fun for me. The first arcade game was fun and certainly ground-breaking...but with onlly 4 different screens I eventually am ready for something else. There's lots of different things to do in Donkey Kong Country and the graphics and sound for the old SNES are pretty amazing. The original, without a doubt. I just love this game. Always have ever since it appeared in the arcades. I can't seem to get enough versions of it. Crap, I accidentally voted for Donkey Kong Land 2, which i have never played. I meant to click Donkey Kong Country 2, and i blame one Mr. James Beam for the error. I had to put "none" since the Game & Watch versions weren't in the list. Never cared for the other ones - even the arcade original. Just never got into it. Edited by chuckwalla, Wed Mar 21, 2007 11:47 AM. 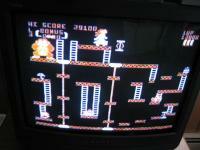 I'll go with the original arcade DKong, with DKong Jr a close second. I actually have a DKong III arcade coin-op, which is OK, but doesn't quite match the fun of the first two. 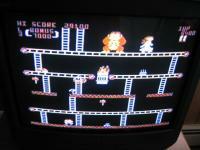 Got to go with Arcade Donkey Kong.Its the best! Arcade Donkey Kong. The original. Still the best.. even over the more frenetic (and yes, fun) 8-bit version. It just has more subtlety and strategy than it's ports do. I can't believe so many people like Donkey Kong Country! Aside from the graphics that game was so shallow in the long run. Not really a Donkey Kong game either. It's a toss-up between Jr. and 3, but I'm going to go with Donkey Kong 3. 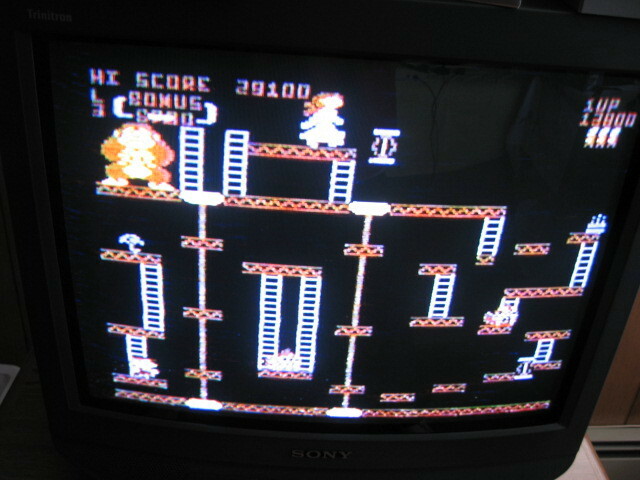 I probably play Donkey Kong Jr. more often than 3, but I like how Donkey Kong 3 is kind of an oddball. Donkey Kong 1's great as well, but the deaths caused by the slightest of falls piss me off. This applies to Jr. too, I guess, but I'm better at Jr. so it's not as big a deal to me. At first I considered switching out the board set in my DK3 coin-op but my GF and others took a liking to the game so I kept the DK3 boardset. I thought this right away when I played the game. if you remove the graphics everyone went giddy for, you had a very basic side scroller w/ sparse and easy to defeat enemies. As a youngster I really liked DK3 in the arcades. I thought it successfully mixed a shooter with a platformer in a fun package. So I voted for it. Never played the DK stuff on the SNES or Gameboy, so didn't know much about those. 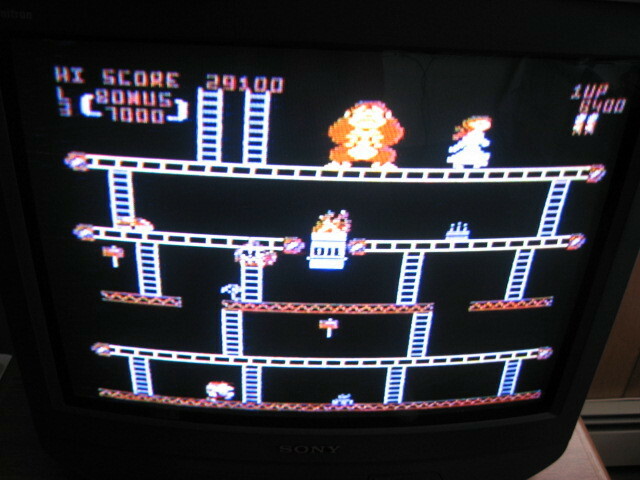 This was one of the easier poles, you just can't beat the king, "Donkey Kong" the one that started it all, with DK JR a very close second. DKC, I hate to say that a newer gen game I find better than the originator but in this case I just find the sidescroller DK just too damn good note to give it my vote. 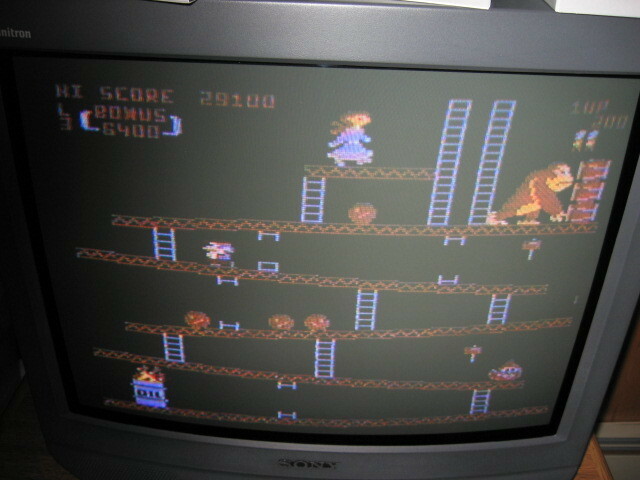 Donkey Kong Country 3, with Donkey Kong Jr. a close second. DKJR, from having all 4 levels on the 7800, to an infinite lives bug in the arcades, I've enjoyed this game for years. A little revenge on Mario doesn't hurt, either. Intellivision's DK Arcade/D2K Arcade S.E. deserves mention. Play them more than the original arcade game these days!